A new Rule issued by the Financial Industry Regulatory Authority (FINRA) requires greater disclosure by registered broker-dealers, potentially subjecting them to penalties for failing to comply. Specifically, FINRA Rule 4530—which took effect on July 1, 2011—requires that broker-dealers report to FINRA whether any regulatory or administrative agency has found that a member of the broker-dealer violated a securities or financial law or regulation. Notably, the Rule requires the broker-dealer to disclose when one of its associated people is subject to disciplinary action, has been indicted or convicted of any felony, or has been convicted of specifically-named misdemeanors. However, the Rule’s language does not require the broker-dealer to disclose a number of other misdemeanors, and likewise does not mention disclosure of arrests. The Rule further mandates that the broker-dealer report to FINRA that any financial or securities-related civil litigation that relates to their delivery of financial services. Importantly, all of these disclosures must be made within thirty days in order to comply with the Rule. Finally, Rule 4530 requires that broker-deals must provide quarterly summaries of consumer complaints. Failure to issue quarterly summaries will constitute a violation of the FINRA Rule. This new Rule places a heavy burden on broker-dealers to report various matters within a short period of time and requires broker-dealers to monitor their members’ criminal, civil and regulatory proceedings very closely to abide by the disclosure requirements. At Tesser, Ryan & Rochman, LLP, our attorneys have decades of experience handling regulatory matters, advising businesses concerning proper disclosure, handling civil and criminal litigation, and representing clients in disciplinary proceedings. We work with our business clients to ensure that they comply with numerous regulatory rules, such as FINRA Rule 4530. 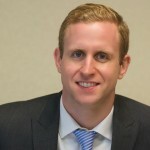 Timothy Nolen is the Senior Associate at Tesser, Ryan & Rochman, LLP. Prior to his association with Tesser, Ryan & Rochman, Mr. Nolen worked for the Kings County District Attorney’s Office and the New York County District Attorney’s Office. Before attending law school, Mr. Nolen graduated from Williams College with a B.A. in History and was an All-American springboard diver. He graduated with honors from the Benjamin N. Cardozo School of Law in 2010, where he served on the Journal of Law and Gender and the Bet Tzedek Legal Services Clinic. Mr. Nolen has been published in the Cardozo Journal of Law and Gender and is a member of the New York State Bar Association and the New York County Lawyers Association. Mr. Nolen is from Ware, Massachusetts and is licensed to practice law in the states of New York and Massachusetts.